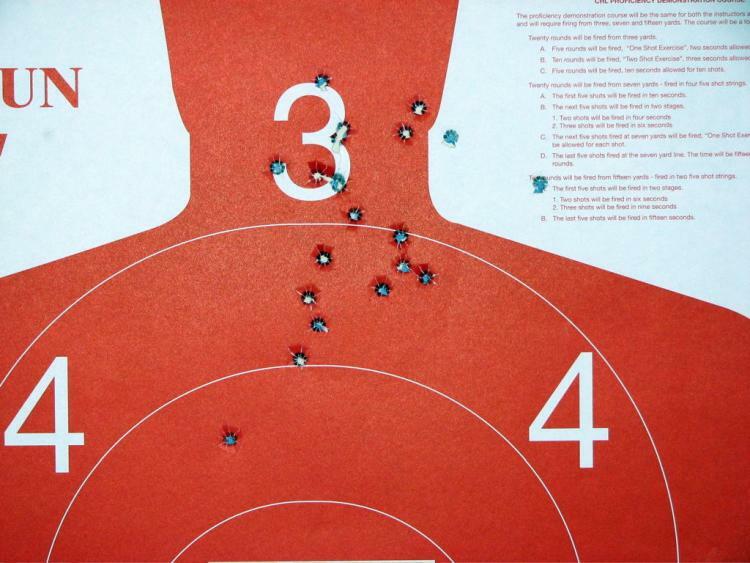 Since 2008, Pennsylvania State Police troopers intentionally fired their guns in the line of duty at least 120 times. Only one of those shootings was deemed “improper” by internal investigators, according to records obtained by PublicSource. That’s less than 1 percent of the shootings. 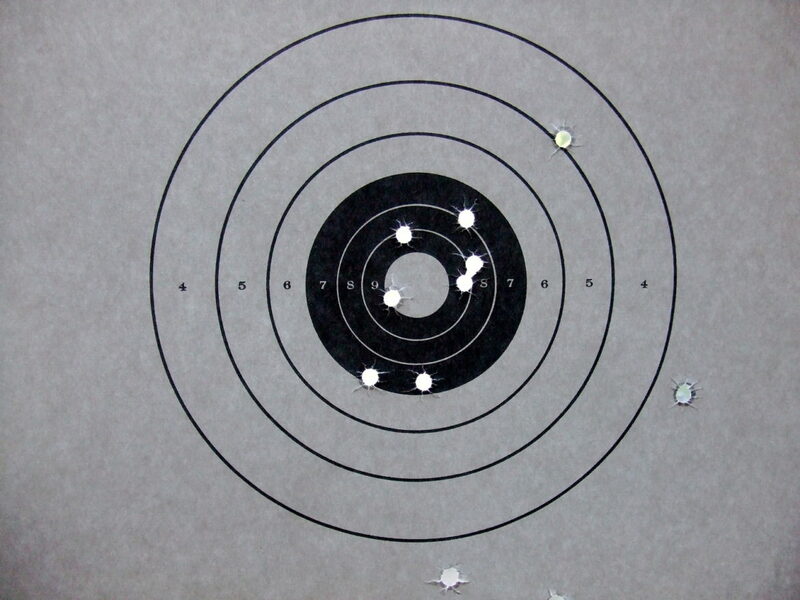 The near-perfect record covers a period when at least 18 citizens were killed by troopers who felt a threat to themselves or others and fired their service weapons. Yet the agency, which insists its investigations are free from bias, declined to provide PublicSource with details on that single maligned shooting from 2010, saying it was a personnel matter. Nor could the state police provide updated statistics on the number of citizens killed by troopers. PublicSource filed three open-records requests over six months and still ended up with scant detail about the outcomes of use-of-force investigations. The internal reports provided the numbers on investigation results, but no details on the shootings themselves. The lack of transparency from the Pennsylvania State Police comes at a time when shootings in local police departments have been under intense scrutiny because of the rolling tide of police shootings nationwide. Communities in Ferguson, Mo., Cleveland and Philadelphia have been outraged over the use of deadly force by officers and asked why shootings are nearly always justified. The sole “improper” self-defense shooting is listed, without additional detail, in this 2010 internal report. The pristine record of the Pennsylvania State Police could well be a mark of strong training, rather than a record of poor judgment. But that is impossible to examine because there is so little information about the investigations. “You want to know, is the [police] organization really that good or is this process flawed?” said David Harris, professor of law at the University of Pittsburgh. Police owe the public the “greatest degree of transparency that they can muster,” including the release of policies on how and when force can be used, he said. Shawn Knight was shot dead by troopers in Fayette County in 2013. His death is either an example of troopers reasonably defending themselves, or a tale of an innocent man shot dead in his home moments after being roused from sleep. A June lawsuit from Knight’s widow, Kim, claims two troopers responded to a domestic disturbance call in North Union and, upon arrival, were told that the argument between Knight, 50, and his daughter ended and that they were no longer needed. But, according to the lawsuit, the troopers pushed over Kim Knight, entered the home and exited after spotting two handguns on the table, which they’d been told were present. Shawn Knight, according to the lawsuit, was startled awake and picked up the guns after the troopers left, but did not realize they were law enforcement or raise the weapons. After opening his front door, Knight was struck by three bullets, with others in close proximity to his wife and daughter, the suit said. The state had a totally different story on behalf of the troopers. By its telling, Knight was not sleeping when a trooper entered and pointed a handgun while yelling for the trooper to leave his house. He then brought at least one gun out on the porch, disobeyed an order to “get down” and raised the handgun at troopers. The troopers opened fire because they “reasonably feared for their lives and the safety of others,” said the state’s response to the lawsuit. Deadly force is authorized in exactly those circumstances. A threat doesn’t even have to actually exist; for instance, force could be justified if a citizen reached for a wallet but an officer mistook it for a gun. Investigations following shootings are automatic. A district attorney decides whether criminal charges are warranted, though the investigation of police actions is internal, as is any non-criminal investigation of policy violations. Richard Long, executive director of the Pennsylvania District Attorneys Association, said the group hasn’t specifically examined state police shootings but said prosecutors have generally been satisfied with the agency’s investigations. To avoid bias, internal investigations are handled and monitored by troopers outside the chain of command of anyone involved in the shooting, said Maria Finn, a state police spokeswoman. Other agencies may take part in the investigations, depending on the jurisdiction and whether other police departments are involved. Joel Sansone, a Pittsburgh-based attorney for Knight’s widow, said the internal process is inherently flawed. “Asking an agency, any police agency to police itself is fraught with peril,” Sansone said. In 2013, the year Knight died, at least 26 line-of-duty shootings were tallied and none considered improper. An “improper” ruling means the trooper’s actions did not meet guidelines established by the agency or the law. Sansone also cites the death of Michael Ellerbe, 12 years old when shot dead in Fayette County by a trooper on Christmas Eve in 2002. Ellerbe was running away from a stolen vehicle, and the responding troopers said one of their own guns accidentally fired. Thinking Ellerbe was the one shooting, Trooper Samuel Nassan III shot and killed the unarmed boy, according to the troopers. Sansone helped represent Ellerbe’s family, who won $28 million in a civil trial in 2008. Nassan has been the subject of several lawsuits and was also involved in a fatal shooting on Pittsburgh’s South Side in 2009. The state, which denied liability, settled for $650,000 with the family of Nicholas Haniotakis, who allegedly tried to run down officers with a vehicle before being shot dead by Nassan. He was cleared by prosecutors after both shootings. While the state police has not yet provided PublicSource with statistics on justifiable homicides, The Wall Street Journal obtained them from the agency for a story on the holes in FBI data on deadly police shootings nationwide. According to that report, the state police tallied 15 justifiable homicides from 2008 through 2012, the latest year available. In an effort to patch missing numbers in FBI data, The Washington Post has been tracking every fatal police shooting nationwide for 2015. So far, the Post reports two fatal shootings by Pennsylvania troopers, one involving a man reportedly firing a rifle in the air outside the Adams County Prison and another involving a fugitive from Arizona killed in a home in Reading. 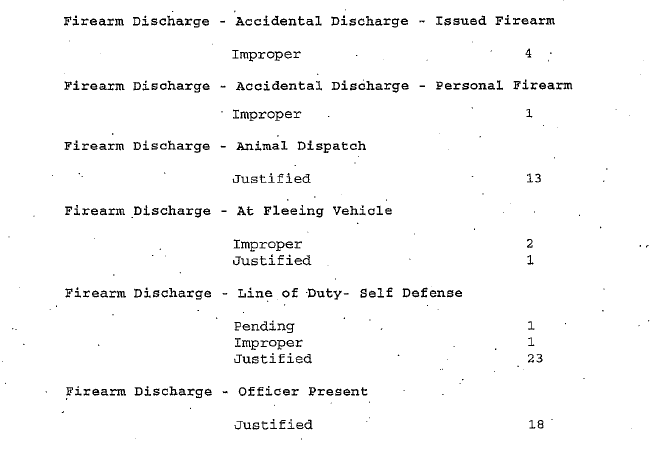 The state police separately tallies accidental discharges. Ten out of 23 accidental discharges were deemed improper from 2008 through 2013. Another seven adjudications said troopers were either negligent or in need of counseling or training. Detailed data is not available for 2014 or 2015. Mistakes can easily turn deadly. Last month, a state police shooting instructor was sentenced to two weeks in jail following a tragic 2014 accidental shooting. Trooper Richard Schroeter, now retired, pulled the trigger of a loaded gun, inadvertently killing Trooper David Kedra in Montgomery County. In some cases, an “improper” discharge is simply an indication that more training is needed, said John “Rick” Brown, who retired in 2010 as Pennsylvania’s state police deputy commissioner of administration and professional responsibility. Brown, whose company Transparency Matters advises departments on internal investigations, said he believes the state police does a good job both at shooting investigations and in training officers to make split-second, life-or-death decisions. “I think we’ve got one of the better processes,” Brown said, explaining that the state police is often the go-to agency to process evidence and to investigate shootings involving officers in local departments. The state police separately considers shots fired at fleeing vehicles. Brown finds that category troubling, citing how danger is compounded when moving vehicles are involved. Many departments ban the practice in all but the most extreme cases. Bullets can fly and hit other vehicles. If a driver is hit, a vehicle could become uncontrollable and crash at high speed. The state police would not disclose its policy on firing at or from moving vehicles, Finn said. For Mary Catherine Roper, deputy legal director for the ACLU of Pennsylvania, the question is not only whether officers use their firearms in violation of policy or law, but also whether police are examining whether force was necessary at all. “Is there something we can offer this officer to make this kind of encounter less dangerous and less likely to use force in the future?” she said. In other words, should training and internal reviews put more emphasis on reactions that aren’t a trigger pull? Finn said the state police uses investigations to look for training opportunities. But that doesn’t mean the agency believes the trooper did anything wrong. “If a trooper felt they or others were in fear of death or serious bodily injury, and the discharge of the weapon was within the law and policy, then it was necessary,” Finn said in an email. In a heated moment, the trooper “gets milliseconds to decide what to do, and people look at it for years afterward,” said Jeffrey Shaw, former head of state police internal affairs for Western Pennsylvania. A willingness to accept outside criticism is crucial, Roper said. Recently, the U.S. Justice Department released a scathing report on use of force by the Philadelphia Police Department, saying that the department had “serious deficiencies” in its use-of-force policies and insufficient oversight of investigations. To be clear, Philadelphia police and the state police are very different. Philadelphia reported more than four times as many justifiable homicides as the state police to the Wall Street Journal from 2008 until 2012, and has tallied 394 shootings in eight years, according to the DOJ report. The Philadelphia Police review was requested by Charles Ramsey, its own commissioner, after a Philly.com article pointed out that shootings by police were up even though crime was down. Ramsey at the time considered the use-of-force policy to fit best practices. The DOJ published nearly 180 pages in March assessing flaws that led to Philadelphia officers shooting too often, many times at unarmed suspects. Roper said all departments should be open to that type of review, which gives a rare look at how officers use deadly force, and when they fall short in efforts to avoid shootings and investigate them properly. The state police provides timely information on officer-involved shootings, Finn said, though details depend on the facts of the case. Attorney Sansone would like to see civilian oversight of officer shooting investigations. Troopers would no longer be policing themselves, which he thinks comes with an incentive to protect their own.